Is your used Cisco equipment taking up space? Planning on a major tech liquidation? Learn how to get rid of your used IT equipment safely with this easy guide. In any business, expanding, downgrading, taking over, or upgrading means there are certain things you’ll need to let go. It can be a computer, office furniture, carpets or a used Cisco equipment. Unfortunately, many businesses don’t know how to get rid of their networking equipment and devices. Some will simply choose to stash them somewhere in the office. Sadly, this will be against your IT Asset Disposition (ITAD) policy. Well, in this post, we’re going to help you learn how to dispose of your e-waste the right way. Read on to learn more. Hard drives and PCs aren’t the only products you need to worry about erasing data during disposal. You also need to erase data from your networking devices and switches, especially when donating or selling them. Wiping your data is the best way to avoid making it easy for black hats to access your infrastructure. The first involves setting your router’s configuration register to 0x2142 by accessing its Global Configuration Mode. This is a common method that network administrators use to recover passwords. You can use this method to wipe your equipment’s configuration, too. If you have a Cisco switch that runs the CatOS, you need to enter the EXEC mode and enter clear config all to wipe the entire system’s data. If the switch runs Cisco IOS, you’ll need to erase the NVRAM file system through the EXEC mode to delete all files. When all your switches and routers are free of your data, you’re now set to sell or donate them. If you don’t want your used Cisco equipment to be used again, you can pay a company to recycle it. There are companies out there that will recycle what they can. In some cases, your equipment will be shipped for dumping in Guiyu, China. The US accounts for the highest production of e-waste every year. Sadly, most of this waste ends up in Guiyu, an electronic waste ground, and this affects the people living around the waste. According to EPA, only 12.5 percent of e-waste produced in America get recycled. So, if you choose to work with a recycling company, it helps to ensure they have firm environmental protection values and policies. This way, you’ll be helping to save Earth’s resources and prevent the increase of lead in the environment. There are also companies that offer the Cisco recycling program. They work with Cisco certified experts to appraise the equipment and ensure they’re used accordingly. Cisco also helps to reduce electronic waste through its Takeback and Recycle Program. The purpose of this program is to collect all unused equipment and harvest them for reusable parts and materials. During this process, materials, such as copper, plastic, aluminum, steel, cables, and circuit boards are harvested. According to Cisco, more than 99 percent of the e-waste sent to their processing centers are recycled. This program is open to all people who own Cisco-branded products or products from companies acquired by Cisco. Cisco does not charge customers for pickup or transport of the equipment. You must submit an online request before they schedule a pickup. When filling the form, remember to provide all the relevant details, including location, product detail, and contact information. You’ll receive Customer Take Back (CTB) number and a case number. Your equipment will only be scheduled for pickup when you receive the case number. This is one of the favorite options to dispose of a used Cisco equipment. In fact, it’s a great option if your equipment is still working fine. You don’t need to recycle it when it can be useful to some other business or people. Since you’ll be selling the equipment to the dealer, you’ll also be recouping some of the money you use to buy it. Different dealers have a different approach to buying your equipment. Let’s say you choose to sell to NetEquity.com. Once they have been shipped, they’ll be tested and you’ll be issued payment afterward. Working with a new and used equipment dealer is the ideal way to get rid of your equipment. Ensure you package your items carefully using the ideal shipping boxes to avoid damage. You also need to understand the terms and condition before selling. If you want to learn prices, NetEquity.com offers a price checking tool to use. All you need is your Cisco part number to obtain the list of prices. 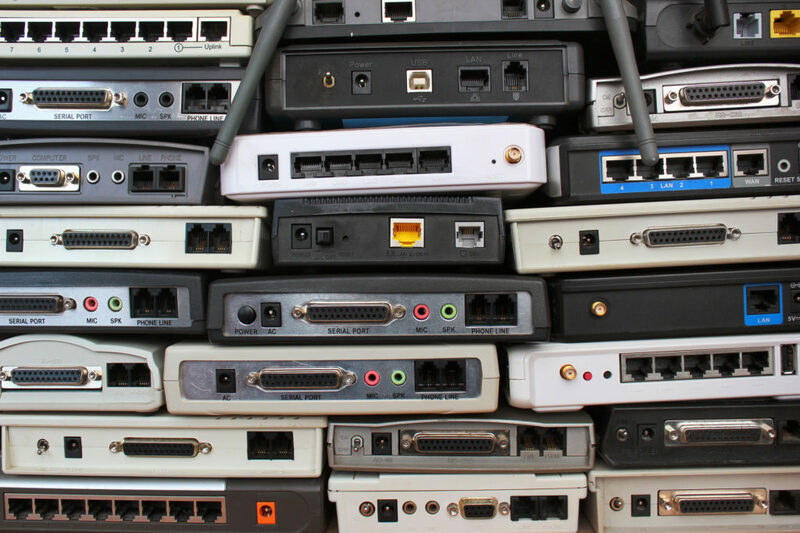 With a variety of options to consider, disposing of used network equipment doesn’t have to be hard. The most important thing to ensure is that your items are either recycled or sold to buyers that can still use them. Careless disposal of e-waste contributes to the increase of lead and cadmium in the environment. By working with the right dealer or recycling company, you can help to minimize the impact of e-waste on the community. Also, you can also consider a dealer that is a member of the UNEDA alliance. Such members ensure high standards and best practices for used network equipment. If you’re interested in selling a used Cisco equipment or you need additional information, feel free to reach out to us, and we’ll be glad to help!